Selling is an action often implemented by salespeople to show-off the best qualities of the products and services they sell. Customers are persuaded by salespeople, using rehearsed sales tactics, that their inventory are items they cannot live without. Consumers look at this way of selling to be “salesly,” creating a negative outlook on how salespeople are viewed. This method of selling causes an opposite effect to what was intended, i.e., a sale. In fact, the more “salesy” they come across, the less appealing making a purchase becomes. Most salespeople use “salesy” techniques when presenting their products, but this does not have to be the case. There is another side to selling. Most are simply unaware or have not fully explored this other side, which have left them only one option, until now. Salespeople have not embraced creativity as a way to attract consumers because they have become completely obsessed with landing the sale and not invested in exceeding customer’s wants and needs. It is important to realize, the best salespeople are the ones who have buying customers, which were never sold to. People just knew about them, the value they provide, and trusted in their ability to produce a quality experience. Whether it was through online research, engagement, or from a friend’s recommendation; customers went to a specific salesperson because they felt understood and knew they could depend on them when buying a product. These conclusions and one’s like them, are made by today’s digital-friendly customers, which often are a result of a salesperson having built and maintained a personal brand. Personal branding is the newest form used by salespeople as a method for creative self-expression. Customers no longer accept the old methods used for selling and prefer their buying experiences to be on a human-to-human level. Having a personal brand and strategy in place is how you can create loyal customers. Your personal brand should sell itself and all products and services attached to it. If you do not fully accept the creative new way of personal branding, you will ultimately become the invisible salesperson, which is something we all dread. If you are not providing quality, relevant, online content; post on social networks on a regular basis; share your value through storytelling; and express the importance of being customer focused via blog posts; then, you do not exist. White-noise is a real thing, buyers will ignore salespeople who do not bring their “A game” in all of what they do for their customers. If you do not have an online presence, then you cannot be found. People love convenience, the easier it is to find you, the more likely they will choose to buy from you. A personal brand is what will get you out of the past and transport you into the now. 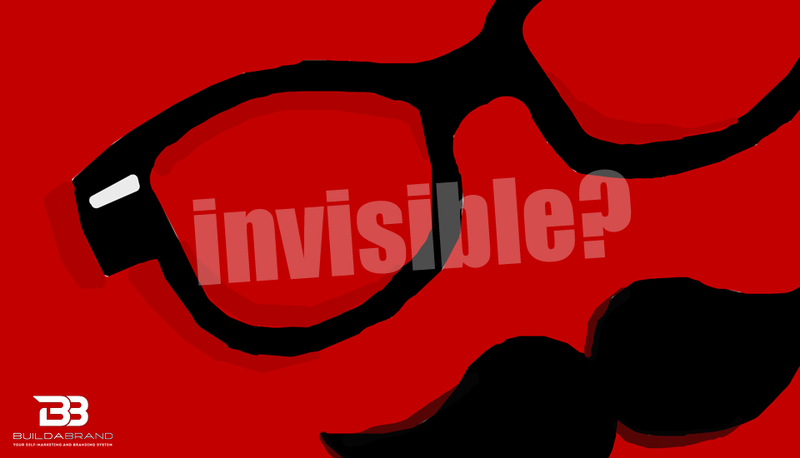 Don’t become an invisible salesperson, become an invincible one.